For the first time, the Stickley Collector Edition comes with a choice. 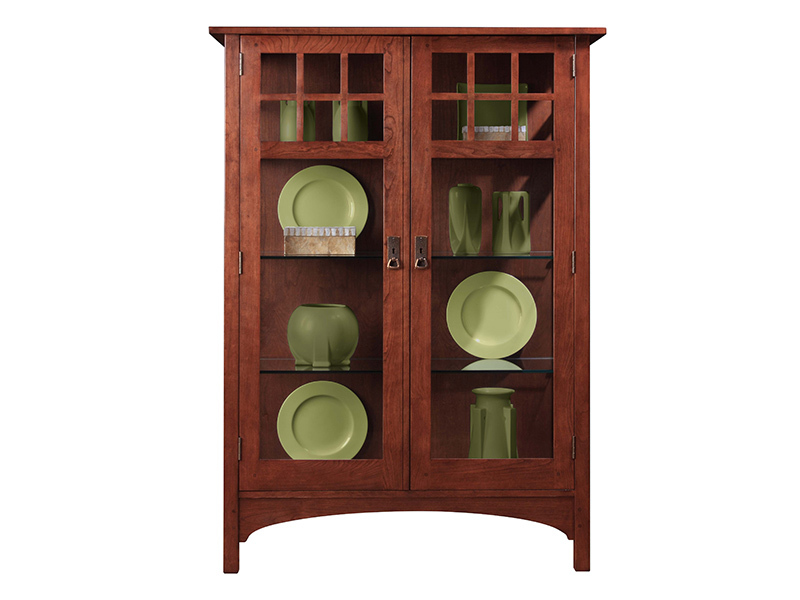 Select between wood doors with a decorative Harvey Ellis inlay or glass doors and sides. Both options have tongue and groove joinery on the top and pinned mortise and tenons on the frame and doors. The display area is gently lit using a dimmable LED light strip. Three solid wood shelves or solid wood framed shelves with glass inserts have position options at 1¼” increments. Adjustable glides under each leg help to level the cabinet on any floor surface. This cabinet will be built in either cherry or quartersawn white oak in a variety of hand-rubbed finishes.